“War leaves a mark.” These are the words of wisdom/warning an old friend gives Mrs. Patricia Wallace in regards to her husband Eric Lomax’s struggles to overcome the torture he suffered at the hands of Japanese soldiers during World War II. 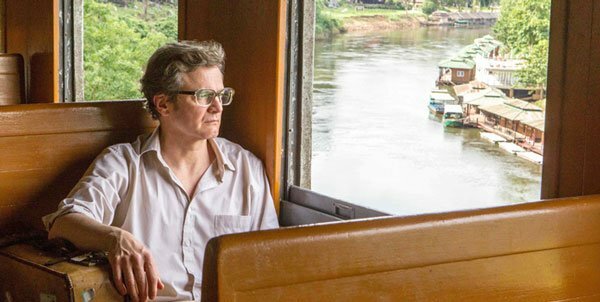 Based on Lomax’s autobiography Railway Man: A POW’s Searing Account of War, Brutality and Forgiveness, the star-studded biopic The Railway Man has Academy Award-winners Colin Firth and Nicole Kidman playing the tormented British veteran and his devoted wife. Also on board this dark drama are Stellan Skarsgard as the aforementioned family friend, War Horse’s Jeremy Irvine as young Eric, and The Wolverine’s Hiroyuki Sanada as Nagase, the Japanese soldier who haunts Lomax still. When Lomax was captured by the Japanese in the height of WWII, he became a prisoner of war. As the trailer above reveals, these POWs were put to work on the Thai-Burma Railway, which earned the dark moniker “Death Railway” because of the high death toll its workers faced. It’s estimated that more than 12,000 of 60,000 POWs as well as half of the Asian laborers (about 90,000 people) who were forced to work on the railway died during its construction. Making matters worse, those who lived knew they were aiding the war effort of their enemies by helping build a means for Japanese forces to transport weapons, troops, and supplies. In the film, Lomax decides to get closure on the atrocities he witnessed and suffered at the hands of the Japanese by tracking down Nagase and demanding answers - and by possibly getting bloody vengeance. 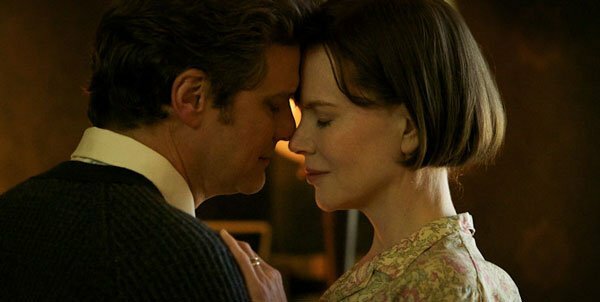 The Railway Man made is world premiere last Friday at the Toronto International Film Festival, where our own Sean O’Connell saw it and admitted it wasn’t what he expected having followed the project’s development. For one thing, he told us the focus is not so much on Lomax’s battle but on the emotional journey of his wife, Patricia (Kidman). “She’s trying to find out why her husband is going through these paralyzing post traumatic stress symptoms,” he explains. Her quest to uncover the source of his pain drives the story, and according to Sean really puts audiences through the emotional wringer. While we wait on the film’s theatrical release, enjoy these new stills courtesy of TIFF. The Railway Man will open on January 3rd, 2014 in the UK, but a US release date has not yet been set.